Recently I noticed a new kid on the block. The Keurg Elite single cup brewer. The Keurig Elite is a coffee machine that you fill up with water. 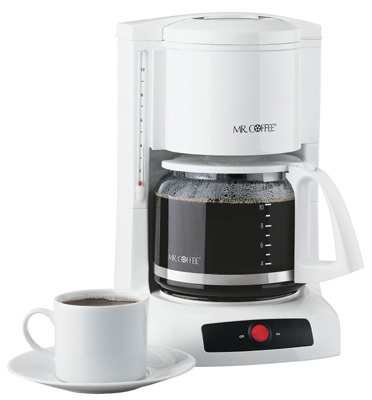 When you want a cup you just drop in a prepackaged K Cup of your choice, set your cup on the platform, push the brew button and in one minute you have a fresh cup-o-joe! Single serve was attractive since there are just two of us. Nice variety of coffees. If Cheryl wanted flavored and I just wanted strong we could both have our choice. The thing seemed really big! Expensive. Numbers are always running though my head and this seemed like a really expensive option. About 50¢ a cup. After 4 months I can say I’m really happy with the purchase. First off let me say we chose the Keurig Elite model which normally sells for $119 and comes with a variety of cups to get you started. We found a 20% off coupon at Bed, Bath and Beyond and saved about $25. There is a smaller model for less but it had two drawbacks for me. The water reservoir was small. I didn’t see myself filling up the reservoir every 3-4 cups as much of a convenience. Secondly, It takes twice as long for each cup to brew. Uh, the idea was COFFEE NOW! So I knew that wasn’t going to work. Here are my thoughts after four months. I love it! Don’t know how we got along without it. I’m really glad we didn’t get the small size with the small reservoir. I love the variety of coffee choices. You can have what ever flavor you are in the mood for. If the power has been off, it takes about 2 minutes to to heat up water for the first cup. It only takes about 10 seconds after a cup is done before it is ready to start the next cup. We no longer have partial pots of coffee left over. Unless you like moderately weak coffee buy K Cups that say Extra Bold on the package. Personally I really like the various Tully’s brand cups. Tea bags are really economical. 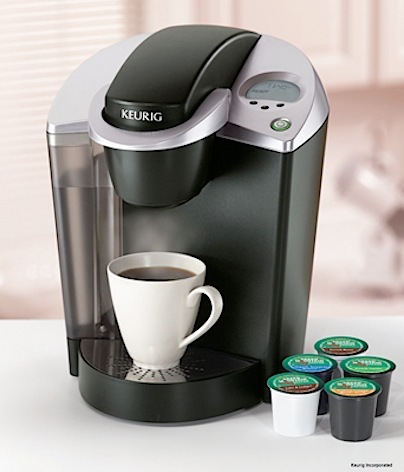 For a quick cup of tea run the Keurig without a K Cup (empty) and bingo, instant hot water, instant hot tea. Slide out the bottom cup-shelf; you can now brew right into your tall sized travel mug. If you are old school and still want your Folgers coffee you can buy Folgers K-Cups online or, uh, how should I say this, in stores that cater to older shoppers. In my area that is Roth’s. Cost is not as expensive as it seems. I did an experiment. The typical self grind specialty coffees you see in the grocery stores wind up costing you about 30¢ a cup. The really good news, I found a way to refill and reuse the cups. Have you considered purchasing a Keurig? Do you have a tip to share? I always wondered about these. Thanks for the review. I bought some chi tea cups and just added my own hot water…it worked great. I will have to try it with the coffee. Coffee has really become what I would call a fashion statement of sorts. Maybe I’m wrong, but you can tell a lot about a person from their coffee cup. I will leave it up to your own perspective; as I wouldn’t want to influence your take on the coffee cup.